To get a printable pdf of this year's poster, click the image. 2019 Schedule of events. Click here. 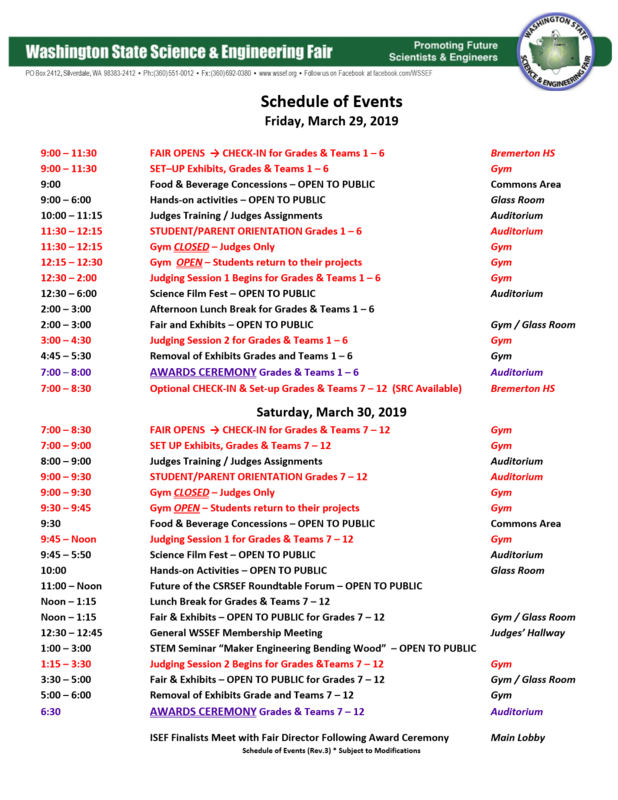 STEM Seminar, Science Film Festival, Displays, and more! Regional Science & Engineering Fair Info. Additional fairs and events to enter. Team Washington at ISEF. Broadcom MASTERS. Click here now!